After completing his masters in neurobiology from Harvard University, Kamran Z. Khan started conducting clinical research in orthopedic surgery at Massachusetts General Hospital as a bioengineer. During this experience, he noticed a lack of interoperability between electronic health record systems used by healthcare providers. Due to lack of interoperability in electronic health record systems, data remains fragmented and trapped in different silos. This creates inefficiencies and leads to medical errors as doctors do not have access to patients’ longitudinal health records. In addition, this lack of data sharing makes it difficult for patients to get matched to clinical trials and researchers to collaborate. So, Khan decided to quit his job and work toward his passion for simplifying the healthcare information exchange ecosystem. "We want patients to get involved in their health. We want to put them on the driver’s seat instead of the passenger’s"
In 2018, Khan formed a diverse team out of Harvard and MIT and founded Translo. Translo is a privacy-preserving biomedical data sharing platform built to accelerate clinical trials. Translo creates a mechanism to convert various electronic health record formats to FIHR HL7 interoperable format. Access to this longitudinal data allows care providers to make informed diagnostic decisions, gives clinical trial teams better analytics to shorten the cycle for patient recruitment - something that is made incredibly complicated due to inclusion/exclusion criterion. Translo’s user-facing platform also allows this EHR data to be paired with Real World Evidence, which is the true cost-saver for most drug development platforms. By leveraging this real-time clinical data, Translo can identify patients and sites that match the eligibility criteria for pharma and Contract Research Organizations (CROs). In addition, Translo is developing an analytics platform that helps CROs better access this data and gain insights from it. This enables efficiencies and drastically reduces the time to market. 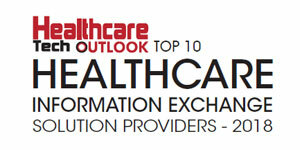 Translo aggregates health care data through partnerships with small and large patient care centers and hospitals. Doctors release data for patients that agree to be a part of the platform, and Translo takes that data and anonymizes it, only giving companies access to non-PI factors (anything from a patient’s history that can be used to identify them, such as name, address, phone number). Organizations then looking to recruit patients have access to the data (which is easily searchable, and in a format that is easy to run analytics on). Data from different formats is taken and then converted to a standardized FIHR HL7 protocol, allowing for greater transparency and ease of use for organizations looking to run analytics to improve patient care. Data is stripped of all PHI and is then converted to FIHR HL7 format. PHI information is hashed and is stored at the partner’s site. Data is then encrypted and stored on Inkrypt’s decentralized anonymous cloud. The data storage is off-chain, encrypted in secure data vaults on the Inkrypt network. Translo utilizes a blockchain layer to manage identity and data access permissions. Using smart contracts, Translo can control data access on a granular level to enforce HIPPA compliance. This provides an audit trail and ensures data is accessed in a permissioned manner. Currently, hospitals and data-holders are the owners of the information, and the patients have no control over their own healthcare data and they derive no benefit from it’s utilization. However, with Translo patient-centered ecosystem, the patient owns their healthcare data. The individual is in complete control on who can access their data, know how it is being used, and gains benefits in two key ways - 1) they’ll gain monetary benefits from its use, and 2) depending on what type of data they give, they’ll be the first to know about potential clinical trials and have the fastest pathway to enrollment. For Translo, security and data privacy are the number one priority that is why the firm chose RCHAIN to build its platform. Blockchain provides immutability, data traceability, and data provenance but the technology is now getting littered with speed, safety, and scalability problems, which might hinder adoption. However, RCHAIN has better design and significant advantages such as speed, scalability, developer tools and RCHAIN Cooperative over other blockchain competitors. But what Khan finds most attractive about RCHAIN is its concurrency, where one can do ten times more verified transactions than the traditional blockchain platform. Translo has also partnered with INKRYTP, a privacy-centric, decentralized cloud hosting protocol, which leverages blockchain technology, distributed computing technologies, and an anonymity overlay to deliver a decentralized global content hosting network. Translo handles patient data so extreme diligence is required to shield sensitive protected health information from cyber breaches. Therefore, a partnership with Inkrypt not only ensures data security, but Inkrypt’s anonymized communication system also provides protection for data in transit in the Translo ecosystem. This is a much needed solution for the healthcare industry and Translo is excited to join hands with Inkrypt in tackling this issue together. Translo provides patients their longitudinal healthcare records through the patient portal. This empowers patients, allows them to share this data directly with their caregivers, and enables them to sell this data directly to biopharma companies as part of their Real-World Evidence endeavors. In addition, this portal establishes a direct communication channel between biopharma companies and patients for clinical trial purposes. Currently, site and patient recruitment is a relationship-driven pursuit and is prone to overestimation of patient availability. Translo utilizes real-time clinical data to match sites and recruit patients for a given clinical trial—due to the complexity of inclusion/exclusion criterion, it currently takes someone running a clinical trial months to find the right candidates to participate. “Our platform will allow them to shorten this timeline by 90 percent, because 60 percent of the information needed to determine whether a patient fits this criterion is part of our database—random forest modeling can allow us to fill in the data gap for information not currently present,” says Khan. This significantly decreases patient recruitment timeline and enables biopharma to fulfill their recruitment goals. Contract Research Organizations (CROs) lack real-time clinical data so are challenged to bid for projects effectively. Translo provides clinical data and the analytical tools to adequately assess availability of a cohort at a given site (explained above). This allows CROs to bid for appropriate projects and avoids unnecessary protocol amendments. Translo enables healthcare organizations to attract more clinical trials so they can generate additional revenue and aide in developing new therapies. Translo carefully considers different delivery perspectives to achieve the right operational and technical infrastructure that supports a safe, sustainable, and interoperable healthcare data exchange ecosystem. From the patient perspective, the firm always makes sure that the data is not being used without the patient’s consent. There are a lot of companies that sell patients’ data for financial gains, but Translo adheres to the Protected Health Information (PHI) mandate and creates a set of identification numbers/symbols, in which patients are provided with their private key, which makes them the sole authorized person of their healthcare records. Patients become the authority who can only give access to their data for research or any other medical purpose. “Our private key method, which is kind of unique identifier, also allows patients to limit the use of their data. We leave that up to the patients with whom they want to share their healthcare details and at what length,” says Khan. The other rule that comes along with HIPAA compliance is that the PHI condition cannot be stored and shared with anyone without the patient’s consent. “So, the patients get the belief that no one can get access to their data and their data won’t go into the hands of black marketers. When you have trust, I think collaboration happens, and that is our goal, we want to accelerate discoveries through data sharing and lead through the next generation of diagnosis and treatments and bring drugs to markets faster,” points out Khan. Khan states that from the bio-pharma perspective, the companies face various challenges in bringing new drugs to the market more quickly, a process that often takes a decade or more and costs billions of dollars. Every delay translates into more cost and lost revenue. “From the inception of a drug formula to approval, it usually takes around 12 years or so; and for studies, it can cost up to 55 million dollars, which is very costly,” he adds. The chief reason behind this loss and delay is the lack of data sharing, which prevents researchers from targeting and recruiting the right patient cohort. However, the Translo platform solves this issue by delivering comprehensive data from patients directly to the biopharma companies. The platform removes data silos by enabling interoperability between different hospital systems to help pharma companies conduct more research and study. “Giving pharma companies data can help them save cost on the clinical trial. The second thing is they can also use our platform to search for the patient or which institution has this kind of patient that they were looking for. So, as our system tracks them directly, pharma companies can engage with those patients, perhaps they can send them a questionnaire even before enrolling them for the clinical trial,” asserts Khan. He further explains that many biopharma companies have already approached them and want to partner with them. From the hospital perspective, the collaboration between hospitals and researchers is essential because the more academics paper researchers publish, the more federal funding based on those papers hospitals will get, consequently helping in conducting more clinical trials. “We are trying to achieve this through Translo. We are creating a system that will enable hospitals to do an effective clinical trial, where they can use data to do simple compilations privately. So, from the hospital’s perspective, we want to achieve two things; first, all researchers from a hospital can have access to greater amount of data, so they can collaborate and actually do research, publish more research study, and second how a hospital can get more clinical, more biopharma companies to do clinical trials,” asserts Khan. The newly-founded Translo is full of energy and experiments, and right now it is adding a value proposition in clinics, research institutes, hospitals, and biopharma companies. The firm wants these actors to be sharing data among themselves—seamlessly, securely, and profitably.